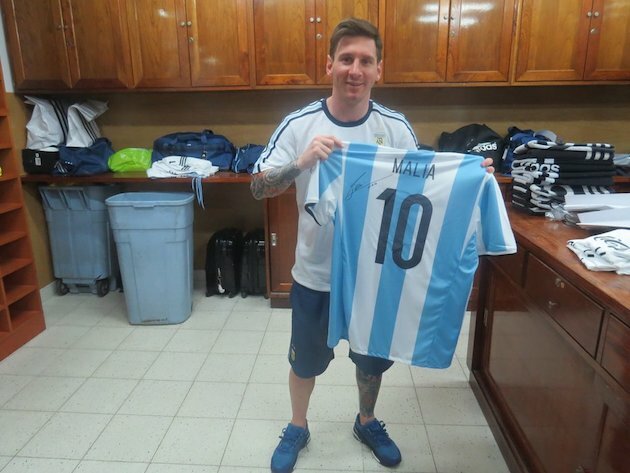 Lionel Messi gave each of Barack Obama’s daughters a personalized signed jersey. During an appearance in Buenos Aires last week, Barack Obama said that his daughters wanted to meet Lionel Messi during their visit to Argentina but that Obama was unable to arrange a meeting. Messi said later that it would have been an honor to meet President Obama and his family. While they were unable to meet in person, Messi was able to send a gift. 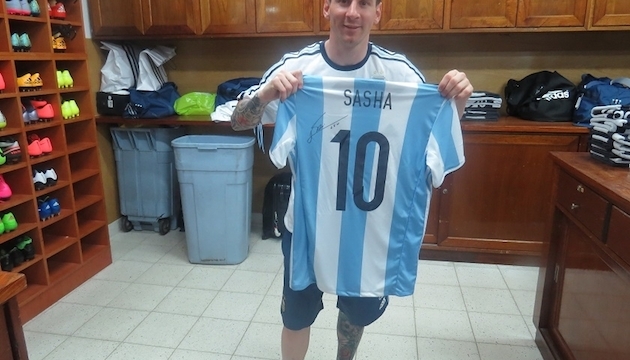 On Friday, Messi sent a pair of personalized signed jerseys to Obama’s daughters, Sasha and Malia. Argentine president Mauricio Macri helped coordinate the exchange. In December, Messi received a signed jersey from Warriors star Stephen Curry.